Nilfisk Outdoor Rangers are the perfect partner for contractors who carry out a wide range of cleaning and maintenance tasks for customers. The versatility of the machines makes it easy to achieve solid professional results at a low price per square meter. The reliability, productivity, flexibility and long service life of Nilfisk Rangers reduce your total cost of ownership. As a service contractor, you need the ability to adapt quickly to whatever your customers are asking for. When you invest in a machine solution, it had better be flexible enough to evolve over time. With Nilfisk Outdoor utility machines, you can easily switch from one task to another with a quick change of attachment. Our large range of quality attachments means you can meet your customers’ maintenance needs all year round. 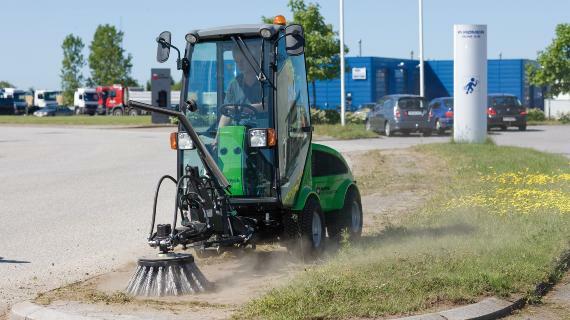 Whether it´s suction sweeping, street cleaning, green care, eco-friendly weed control, snow removal or gritting, you can do it all with the one and same machine. Your customers set high standards for cleanliness, and they have specific time frames when they want the work done. As a service contractor, you need reliable machines with very little downtime. The Nilfisk Outdoor Rangers are dependable machines with high uptime. The wide variety of attachments for Nilfisk Rangers ensures high performance in every task. Nilfisk Outdoor Rangers are compact and maneuverable machines that enable you to effectively clean in narrow areas, even awkward corners. A Nilfisk Ranger makes it easy to deliver remarkable cleaning results. As a cleaning contractor, your cleaning tasks change on a daily basis. You need to be able to serve all your customers’ needs. Your customers set high standards for green care, and they have specific time frames when they want the work done. As a landscape contractor, you need reliable machines with very little downtime. 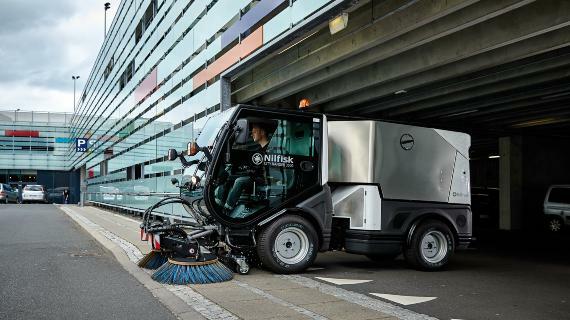 The Nilfisk Outdoor Rangers are dependable machines with high uptime. Quality attachments ensure a perfect green care platform. It’s easy to change attachments, making it simple to move from one task to the next. The City Ranger 2250 and Park Ranger 2150 are compact and maneuverable machines. They can easily get around trees and under bushes as well as into narrow spaces, making them a solid partner for a green care contractor. If you’re a landscape contractor, the Nilfisk Outdoor utility machine allows you to expand your outdoor activities to the winter season by investing in attachments. 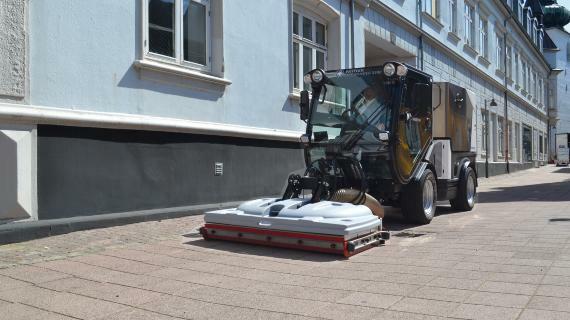 Kaj Bech A/S in Denmark test-drove the new model of the Nilfisk Outdoor City Ranger 2250 with suction sweeper unit. After the test period, the company purchased three new machines. Thousands of customers across countries share a common reaction when they experience the performance capabilities of our products and "impressive" is thus a common phrase in our customer's vocabulary.